Dolphins and whales are able to reach enormous dive depths. At the same time, they move particularly elegant underwater. Their tail fin allows them to do this. With a fin, which is similar to that of the marine mammals, also divers can move enormously efficiently. Have we sparked your interest? Fine! 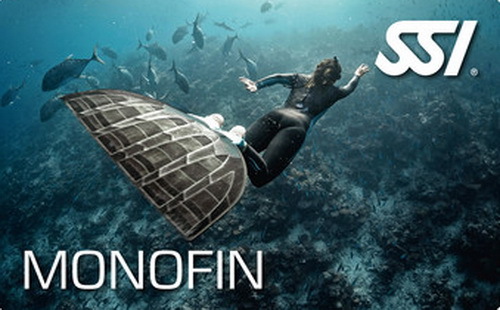 Your curiosity can be nurtured within the SSI course “Monofin Freediving”. Here you will learn how to safely dive with a monofin. In this way, you can be sure of a unique diving experience!